Sweet Christmas Runners by Kathy Skomp for Lavender & Lime DLL75. Runner size 15-1/2" x 42-1/2". 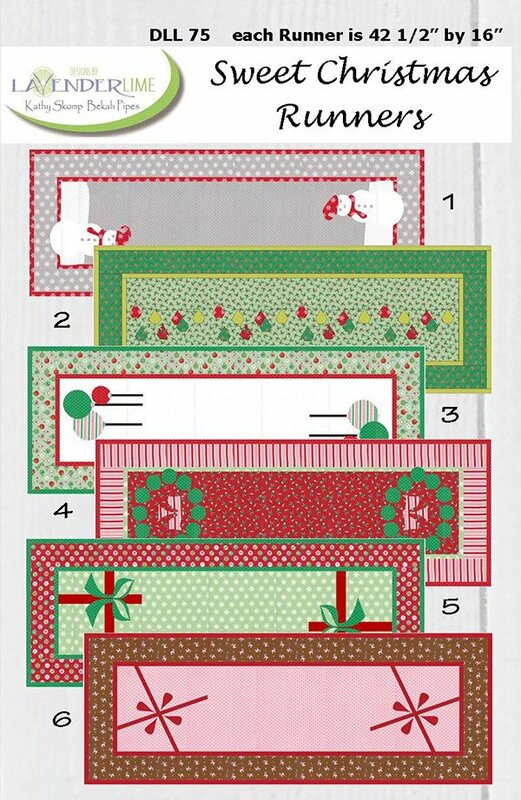 6 runner designs features Sugar Plum Christmas fabric by Moda.